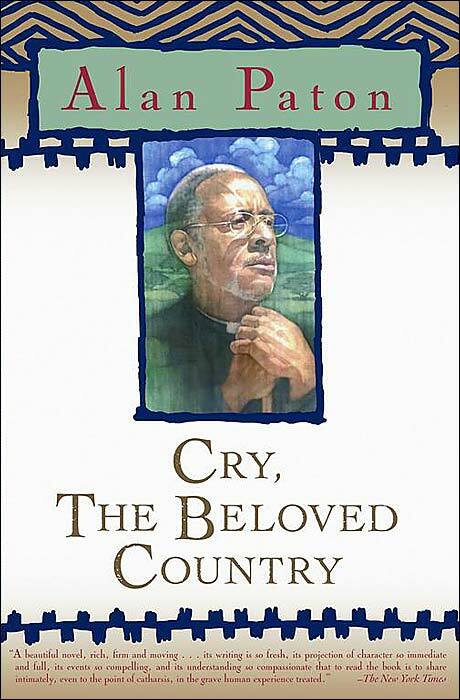 Cry the Beloved Country by Alan Paton was written in the late forties and is on the list of the Top 150 Novels of the 20th Century. Told in the third person, it is a beautifully written, sad story about an elderly Zulu preacher residing in an impoverished area of South Africa. As the story opens, the preacher and his wife receive an urgent letter from Johannesburg informing them that the preacher’s younger sister has fallen gravely ill and needs their help at once. After gathering his meager savings, the preacher begins the long journey to Johannesburg, a big city he has never visited. While there, he is also on a mission to find his son who left home years prior and has not been heard from since. Upon his arrival in the big city, he encounters a chaotic, racially divided world of great sorrow. At the same time however, he meets men and women of both races whose hearts are uncorrupt and full of compassion. After searching in many places, he finds his son only to have his heart broken by the poor choices his son has made while living away from home. As I read the powerful words of this book, I reflected on my own country and the prejudice which exists today. This book reads like poetry and is very inspirational. It is about faith, justice, and the power of forgiveness. In times of doubt, I know I will return to this story again. It refreshed my soul. This entry was posted in Uncategorized and tagged Alan Paton, Books, Cry the Beloved Country, race issues, South Africa, Zulu. Bookmark the permalink. It’s been about 20 years since reading this old favorite of mine. I remember feeling the expansiveness of the setting, the sorrow of the failures. Mat have to re-visit. I really loved this book Margie. It was beautiful all the way around. Don’t know how I ever missed it years ago! So glad to know you will be reading it again. I appreciate your comment!